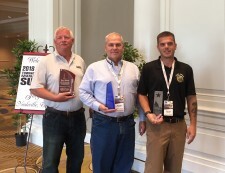 NASHVILLE, August 6, 2018	(Newswire.com) - Tow Times magazine awarded national recognition to three towing and recovery industry professionals for their leadership roles at the fifth annual Towing & Recovery Management Summit held in Nashville, Tenn.
Bill Giorgis of Mike's Wrecker Service, Saginaw, Michigan, winner of the Lifetime Achievement award. Bill Byers of Byers Wrecker Service of Rochester, Michigan, who earned the Industry Champion award. 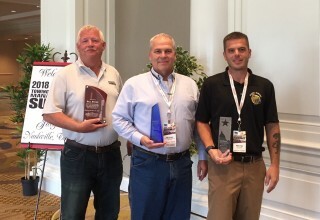 Mario Faga of Camel Towing, Lake Worth, Florida, who took home the Rising Star award. 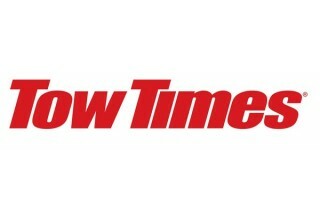 The Lifetime Achievement Award is Tow Times' most prestigious award to an individual who has an established history of distinguished service, exhibited leadership and provided inspiration to others in the industry; positively influenced the industry on a state, national or international level; has expansive knowledge of the industry and has used that knowledge for the industry’s betterment. Bill Giorgis is known in the towing and recovery industry as one of the most vocal and well-spoken advocates for safety, conducting classes and seminars around the country on how to keep towing operators and drivers safe and what companies should do if a tragic accident occurs. He is often on the phone or emailing fellow towing operators who have reached out with a question or concern. Raised in a towing family, Giorgis owns and operates the towing business started by his father Mike Giorgis, who opened the doors of Mike's Wrecker Service in 1956. He has risen to new heights serving as past president of the Towing and Recovery Association of America (TRAA) and the Michigan Towing Association. While at TRAA, he is credited with conceptualizing and creating the “Law Enforcement Vehicle Identification Guide” still in use today. His many accomplishments made him the youngest member ever inducted into the International Towing and Recovery Hall of Fame, Class of 2002. The Champion Award recognizes an individual who has made exceptional contributions championing the towing and recovery industry, is a person who fights for, defends and supports the industry’s best interests through their actions and financial support, contributes to the industry's growth and positive image, and is recognized outside of the industry for their extraordinary achievements. Bill Byers heads Byers Wrecker Service, a family-owned firm since 1951 that now includes a third generation. Byers is the founder of Move Over Michigan, a nonprofit organization that promotes the safety of emergency responders with the aim of reducing injuries, accidents and fatalities. He has helped lobby and pass state legislation to include towing operators in Michigan’s Move Over law. In addition, Byers, a volunteer firefighter for many years, assists no less than 10 Michigan fire departments with extrication training, dedicating time, equipment, employees and other Byers resources. No stranger to recognition, Byers has been rewarded numerous awards, including the Order of American Towman award, Citizens Lifesaving award, Top 10 WreckMasters award of 1999 and the Citizens Leadership award. He was inducted into the Towing and Recovery Hall of Fame in 2017. The Rising Star Award goes to a person who contributes significantly to industry organizations, exemplifies leadership and is a role model for others; strives to learn more about the towing industry and engage in professional development; and exhibits dedication to the towing industry. Mario Faga represents the industry's next generation of towing company owners and operators, having launched Camel Towing LLC in 2010 from scratch with only one truck. Today he has over 10 trucks or service vans and two Florida locations. Faga is one of a growing number of towing operators who are under 40 years old and leading the towing and recovery industry toward adopting more modern practices and procedures. A caring and compassionate business owner, Faga helped secure his employees' homes as Hurricane Harvey was approaching the Gulf Coast before taking on the days-long, arduous task of towing and recovering vehicles damaged or destroyed by the Houston storm. With a reputation as a hard worker, Faga also handled storm clean-up in New York, Baton Rouge and Fayetteville, N.C. Today, he continues to draw plans for expanding his business. 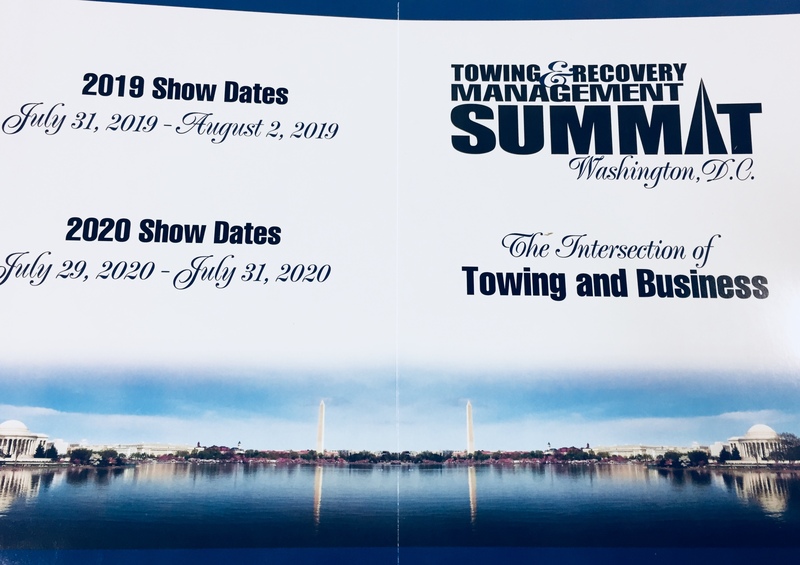 A unit of TT Publications Inc., Tow Times is the leading magazine in the towing and recovery industry and host of the annual Towing & Recovery Management Summit, launched in 2014. The summit, held in 2018 and 2017 at the Gaylord Opryland Resort in Nashville, provides a vehicle for towing company owners and managers to stay abreast of industry trends, continue to professionalize their businesses and network with other leaders. Previous years' summits also have been held in New Orleans and St. Louis. 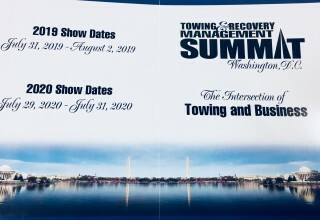 The 2019 Towing and Recovery Management Summit is scheduled for July 31 to Aug. 1 at the Capitol Hilton, Washington, D.C., just blocks from the nation's White House.